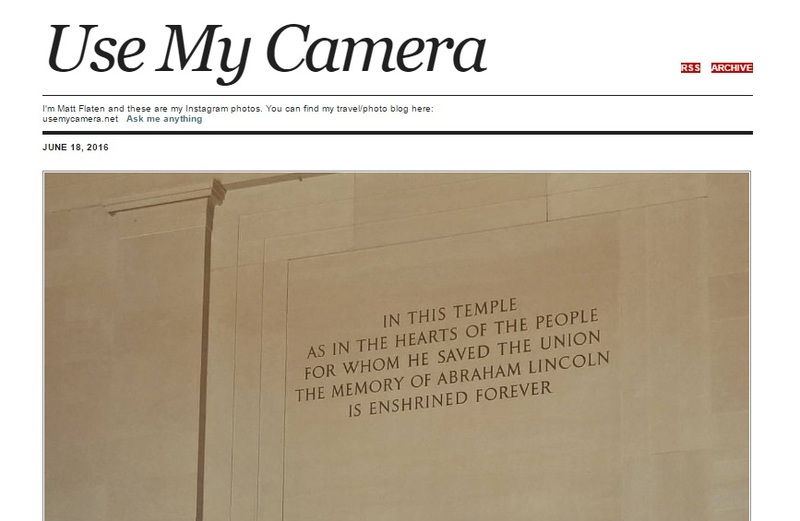 Use My Camera: One Of My Blog Posts Was Published! Back in April I wrote a blog post about visiting the remarkable Coral Castle in Homestead, Florida. 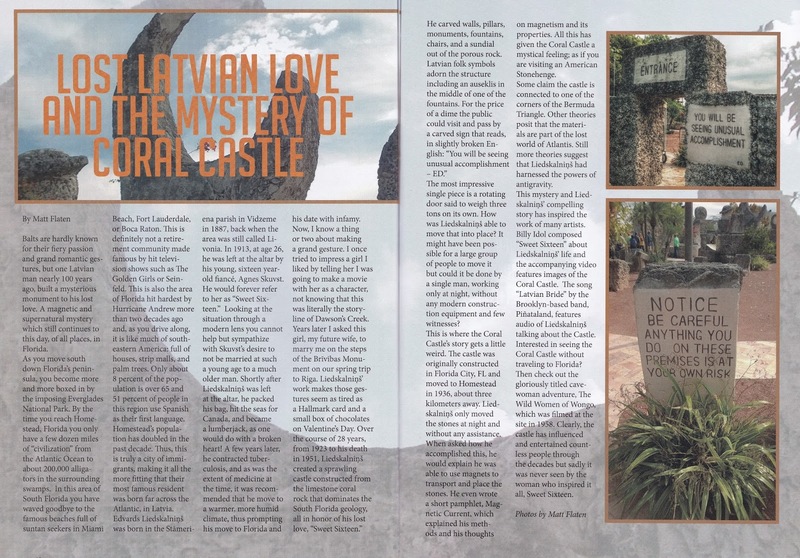 If you don't remember that post specifically, the Coral Castle is an amazing structure built by a Latvian immigrant over several decades from huge pieces of coral rock. A friend of mine is the editor of a Latvian English-language magazine called City Paper and she asked me to expand the post into a full article for the magazine. 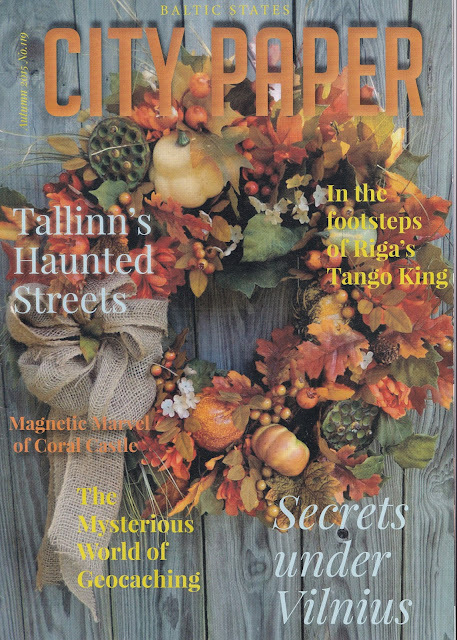 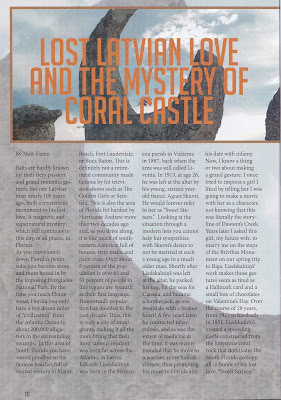 The piece ended up being included in the Fall issue and was featured on the cover as "Magnetic Marvel of Coral Castle!" 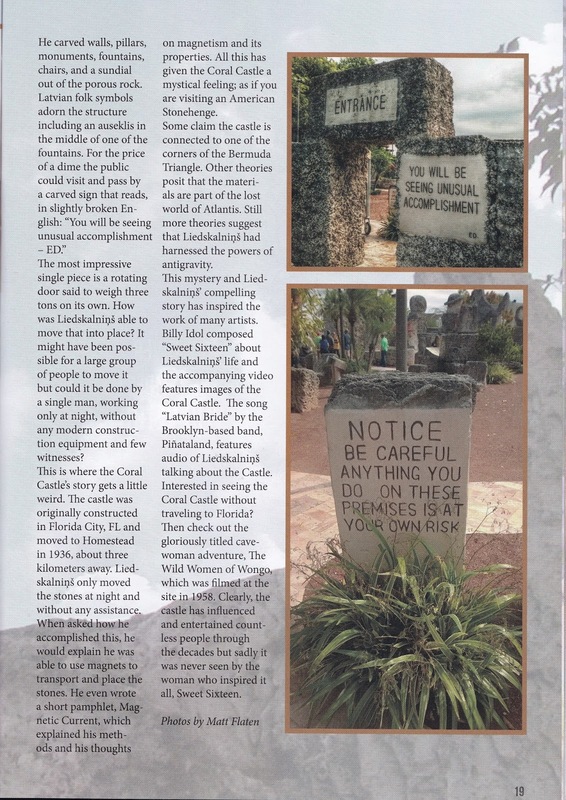 Here's the complete piece and you should be able to click on the image and zoom closer to be able to read it. 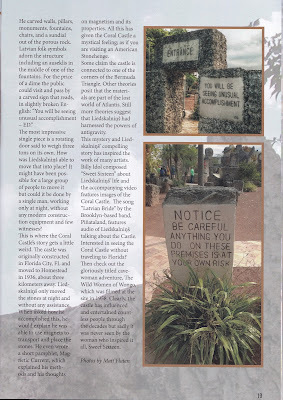 If not, I've included the individual page scans below as well or you can read it on the web page.